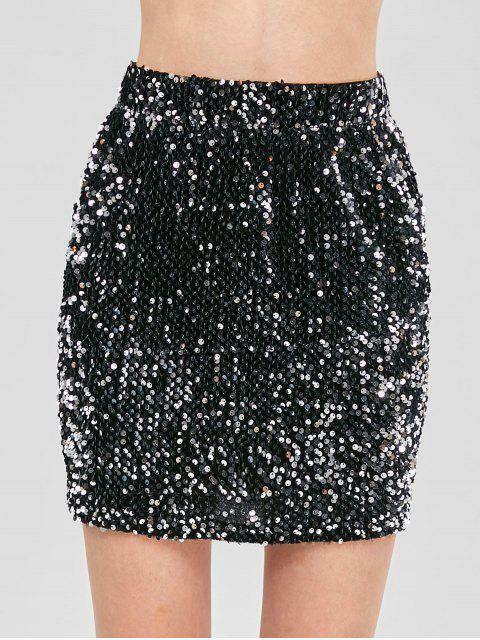 [23% OFF] 2019 Fitted Mini Sequined Skirt In SILVER | ZAFUL ..
Allover sequins add eye-catching glamour to this figure-flattering skirt that creates mesmerizing flutters of light and dark with every movement. The elastic waist makes it easy to wear. Just shine the curves in your next special parties.